Verizon has hired Hans Vestberg, the CEO Ericsson bounced last summer amid cost cutting and failing financials, to head up its Network and Technology team. Network and Technology is one of three areas Verizon will focus on under a new operating structure, with the other two being Media and Telematics, and Customer and Product Operations. 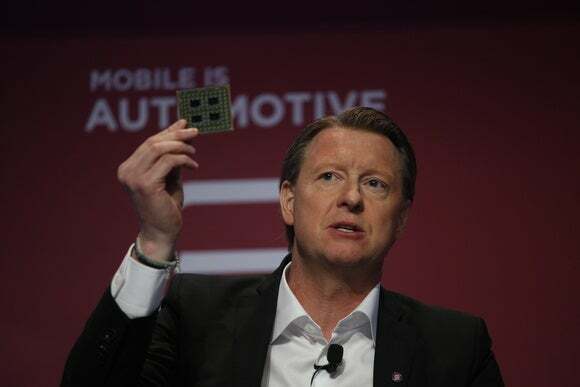 Vestberg, who served for six years as Ericsson's CEO, will report directly to Verizon CEO Lowell McAdam and lead Verizon's fiber-centric networks, including those that support the carrier's advance into 5G wireless (see video below of Vestberg exploring advanced networking at Mobile World Congress 2016). Vestberg during his time at Ericsson's helm oversaw good times and bad, plus plenty of partnership and acquisition action. The company sold its 50% stake in Sony Ericsson to its partner, it bought OSS/BSS company Telcordia for more than $1B, and it announced big strategic partnerships with Apple, AWS and Cisco. Vestberg, who had been with Ericsson in various capacities since 1988, was also rumored to be a possible successor to Steve Balmer as Microsoft's CEO. Vestberg, who currently heads up the Sweden Olympic Committee, is scheduled to move from Sweden to the United States later this spring.